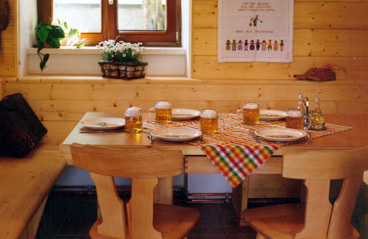 The Schuastahäusl (shoemaker’s house) is our inexpensive self-catering hut in the garden of Luise Wehrenfennig Haus. 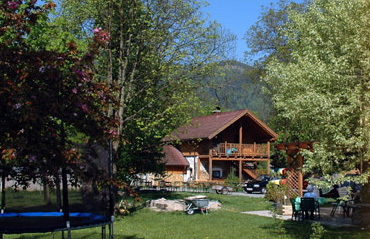 This makes it the perfect “base” for a skiing holiday at the foot of the Dachstein in the winter and for an outdoor holiday by mountain bike or with a rucksack in the spring, summer or autumn. 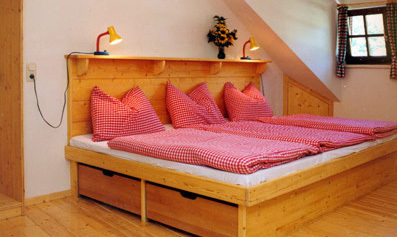 The Schuastahäusl has 15 beds in two rooms. 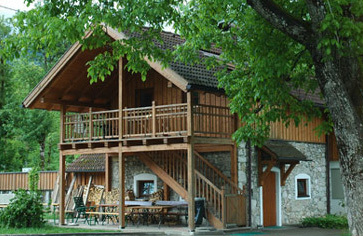 Plus two showers, 3 WCs and a self-catering kitchen. This makes it perfect for family holidays, group holidays and school classes. Naturally, following prior consultation, it is possible to have lunch and dinner in the adjacent Luise Wehrenfennig Haus.